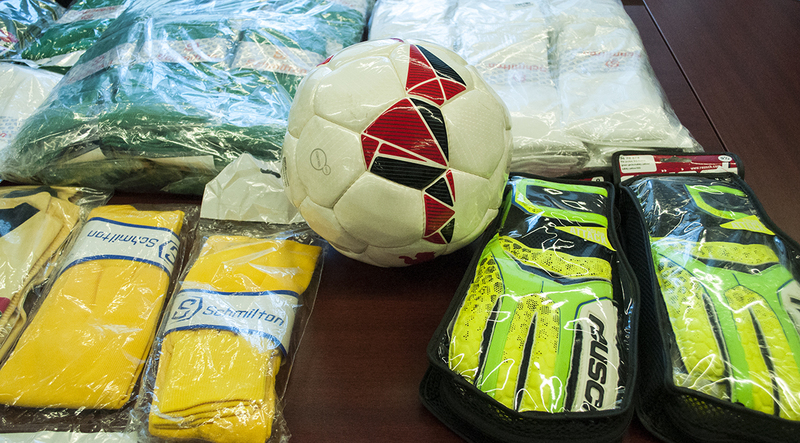 Abkhaz national football team players are presented gifts. 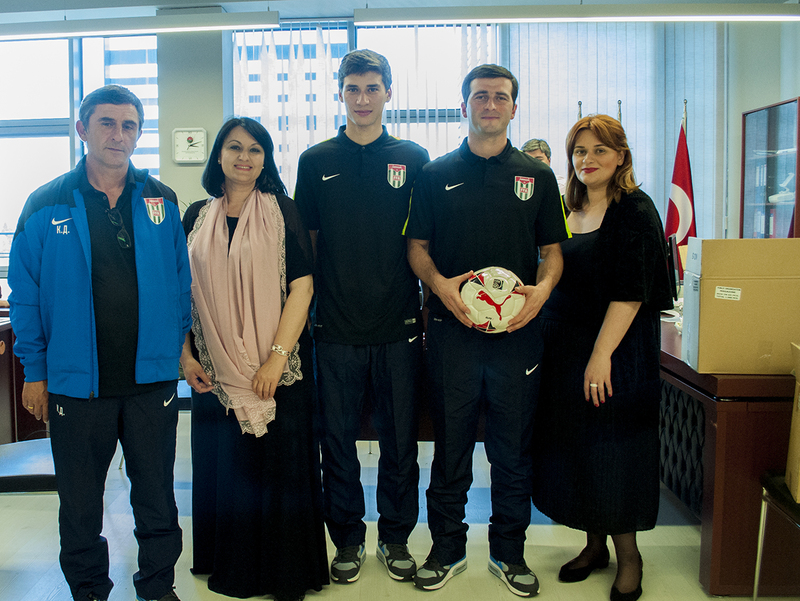 | "International Fund Apsny"
Abkhaz national football team players are presented gifts. 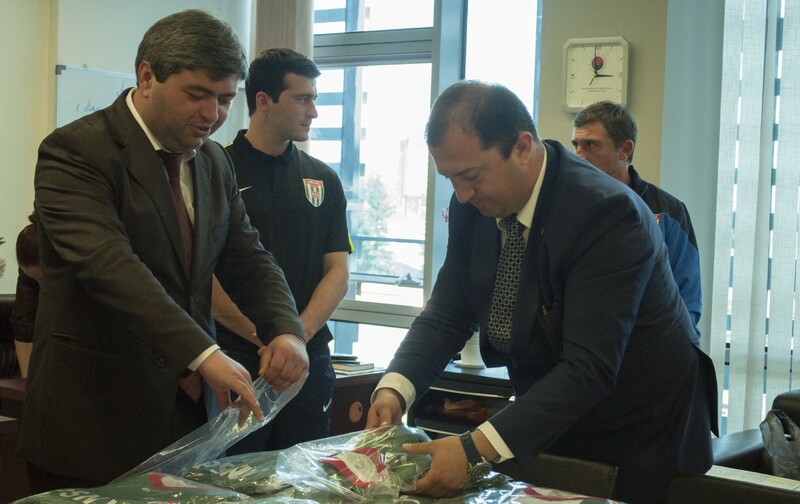 Today, the President of the “International Fund Apsny” Soner Gogua presented football jerseys for Abkhaz national football team players to the team coach Djuma Kvaratskhelia and players George Djanaa and Tarash Khagba. 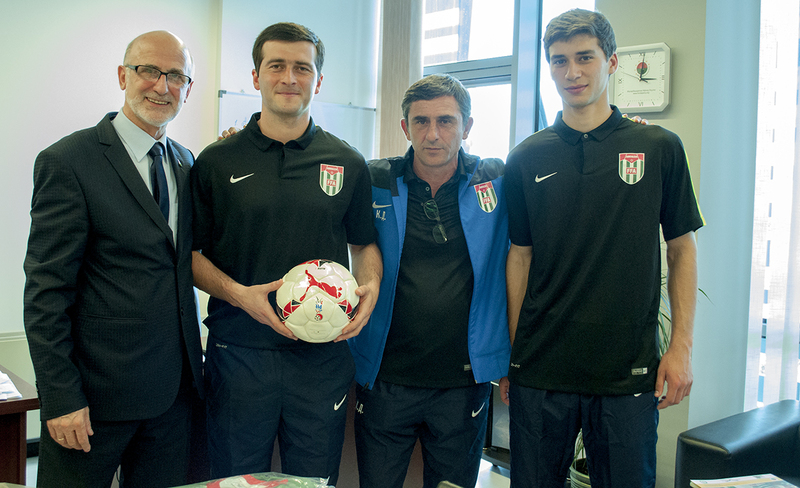 “We are so glad that the World Football tournament CONIFA will take place in Abkhazia. 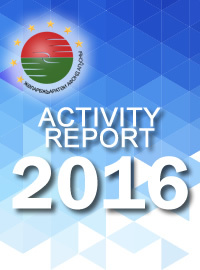 On behalf of our Fund we would like to present gifts to your team and wish you success and achievements”,-said Soner Gogua. The head coach of the National football team Djuma Kvaratskhelia thanked the “International Fund Apsny”, personally the President of the Fund Soner Gogua for support. “I am convinced that our National team will reach the final game, they have a good training”,-said Djuma Kvaratskhelia. We remind you that the opening of the World Football tournament CONIFA will be held on the 28th of May in Sukhum.